Use the larger Pathogen Reduction Box (PRB) Model S1000 to disinfect items that are frequently passed from patient to healthcare worker and/or from worker to worker. Use it to quickly disinfect larger tools and objects which will not fit in our standard Pathogen Reduction Box. An automatic cut-off makes the PRB Model S1000 operation very simple to use. 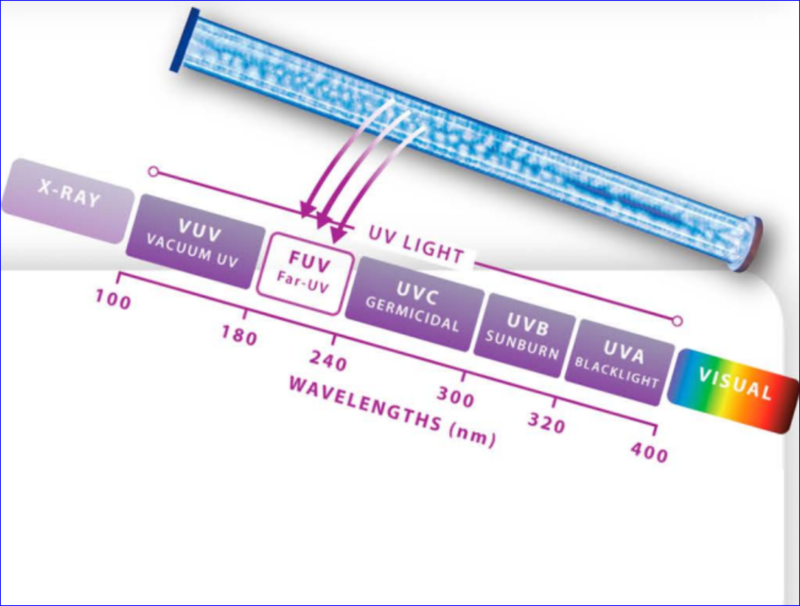 Far-UV Sterilray™ is a new technology that is up to 1,000 times more effective than germicidal UV-C. The Pathogen Reduction Box (PRB) Model S1000 uses lamps over and under an object placed inside on the special plate. It produces a uniform illumination 360-degrees to disinfect sides and surfaces. The stainless steel rack will produce shadowed areas. Flip the object over and run a second cycle to insure a high-level reduction. 99.999% (log 5) reduction of MRSA and VRE is achieved in 60 seconds. Disinfection of non-critical items in 60 seconds. Disinfection of all sides of an object in two cycles. Green Clean: a completely automatic, dry treatment in 60 seconds. Effectiveness: Pathogen removal has occurred using a convenient process. Reduction of germ levels and the chance of spreading to other areas. The PRB thoroughly disinfects non-critical and personal items frequently passed from person to person. Examples include large tools, hand-held lasers, TV remotes, call buttons, charts, oximeter probes, stethoscopes, blood pressure cuffs, computer keyboards, and cell phones.